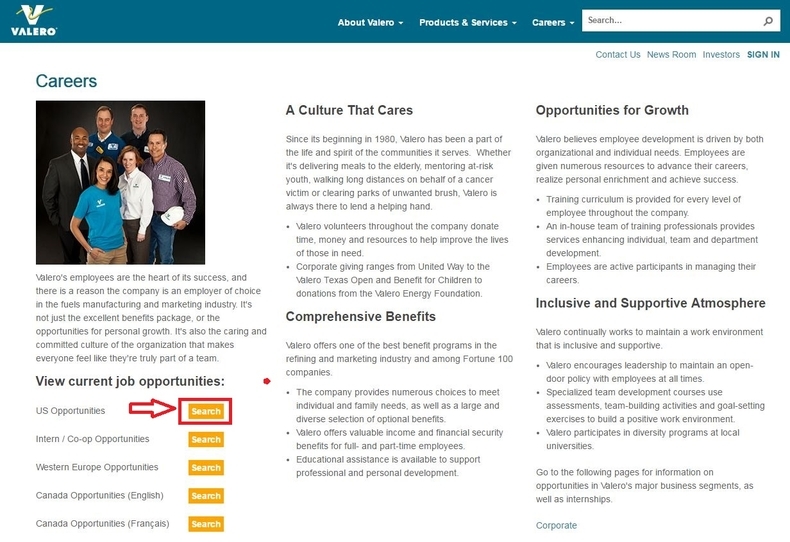 Go to visit the Valero careers page at valero.com/careers and you will see a list of current job opportunities provided by Valero: US Opportunities, Intern/Co-op opportunities, Western Europe Opportunities, Canada Opportunities (English) and Canada Opportunities (Francais). Select one that you want to search for and click the button "Search" to continue. You will enter a search results page in this step. Choose a position that you want to apply for by clicking the job title directly. 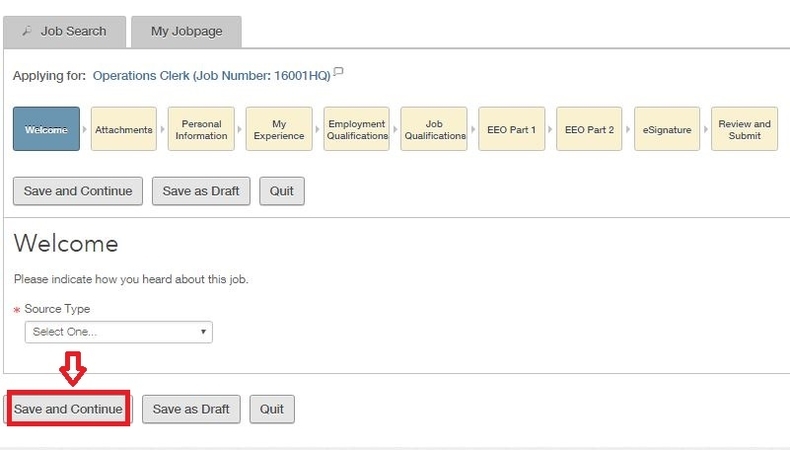 Also, you can narrow down your search range by entering job number and keywords into the required boxes or by selecting the job field and location. After you choose the position, a page of job description will appear. 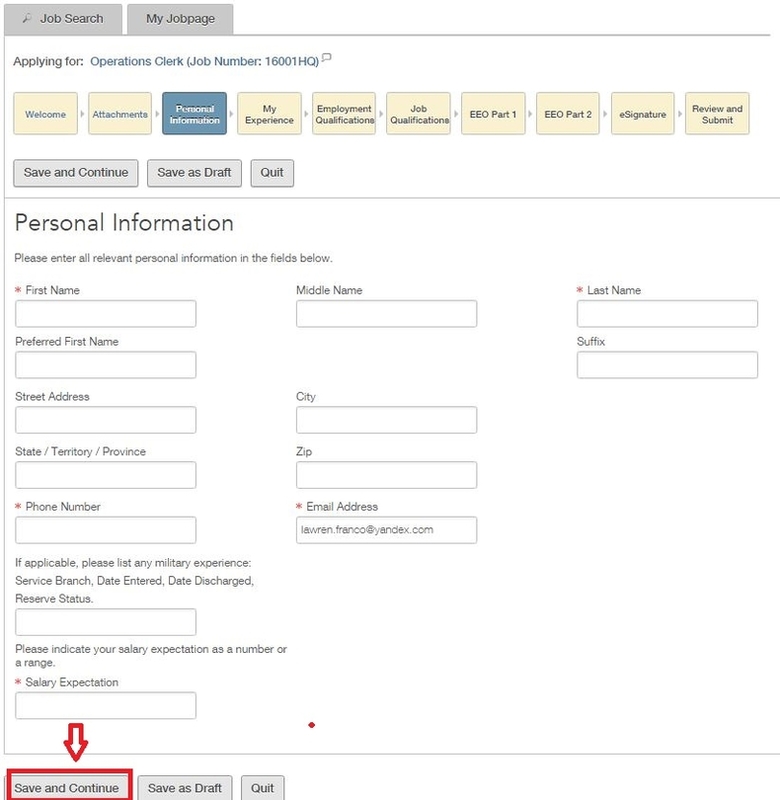 Read this page carefully before clicking the button "Apply Online" to continue with your online application. You are required to login with your previous Valero account or create a new user account in this step. Supposing that you are new here, click the button "New User" and provide your email address, user name and pass word to get your account built. There's one thing needs to be noted that you have to read the privacy agreement and accept before you go to this login page. With the account created and logged in, you are required to indicate how you heard about the position you chose. Just select the source type and click the button "Save and Continue" to move on to the next step. To make your online application profile more complete, you need to upload one or more attachments in this step. Choose the files from your computer and click the button "Attach" first and then click the button "Save and Continue" to go forward. Providing all the information about yourself, your work history and education background is very important since these information may let the Valero HR know more about you. To complete the information, you have to go through two pages. Fill out each page and click the "Save and Continue" button. All required fields are marked with an asterisk. This step is rather important but a little complex. You need first and foremost to answer some questions about employment qualifications like "Are you at least 18 years of age?" and "Are you currently employed by Valero?". Answer them according to your own situations and move on by clicking "Save and Continue". 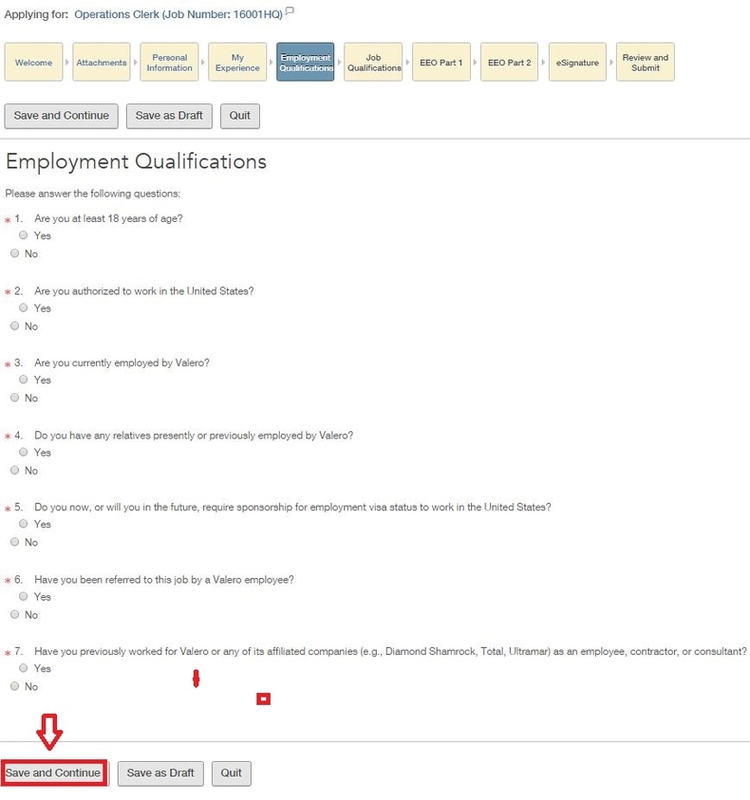 Then you have to finish some questions about job qualifications, choose your gender, age, race, ethnicity and disability status and provide your eSignature step by step. 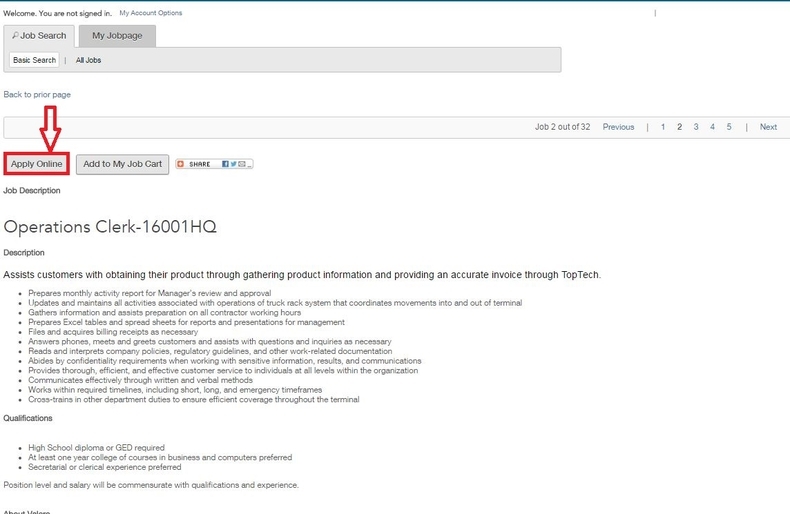 After you finish the eight steps above, you will go to an application review page on which the information you provided is listed. Check this page and click the button "Submit Application" to get your application submitted. With all the nine steps above are done, you've finished your online application process. What you need to do next is to wait patiently the reply from Valero. 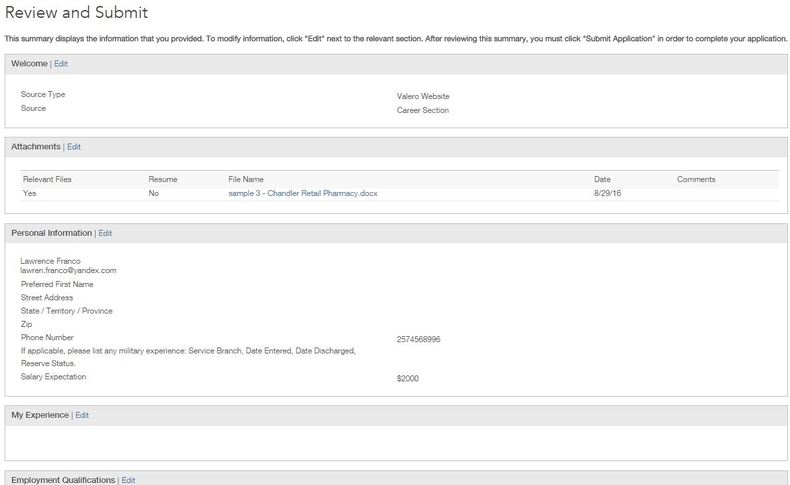 Also you may view your submission or go back to the careers page to find more job openings. Click valero.com/careers to apply for Valero jobs online.